The summer term is a time for public examinations, sports days, and self-evaluation. Teachers and senior leaders across the country are evaluating their progress and plotting out a better future for their students. But as the evening sun of the academic year shines, so a long shadow is cast. And lurking in this shadow, deep in the collective unconscious of the education community, is the amorphous figure of the Ofsted inspector. Some teachers speak publicly about the Ofsted inspector, invoking the ‘O’ word like an amulet to ward off harm. Other suspiciously avoid mentioning the word, believing its recitation can be a summons. Others still profess to have no fear or respect of the supposed powers of Ofsted. But their voices ring hollow, and are rarely heeded by the cautious. The question gnawing in the back of the collective mind is: what might Ofsted say about our department, faculty, school, or MAT? This seems inherently misguided, and the tone of Spielman’s remarks seems to suggest that she recognises this. Indeed, she is too early in post to have had time to reform Ofsted, and her public statements have hitherto been laudable and sensible. In addition, Sean Harford appears to be perceptive, very well-informed, and highly approachable. The obsession with “badges and stickers” and accountability measures stems not only from a sense that Ofsted actually requires this sort of evidence, but also from a concern about the quality of the inspectorate. 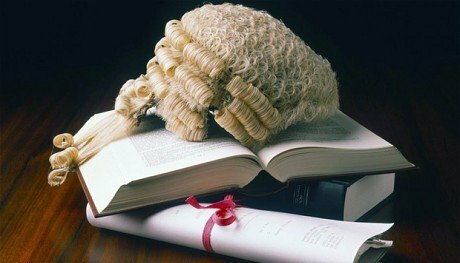 A school is less vulnerable to the peculiarities of judgement from an individual inspector if another agency has already vouchsafed its work. Similarly, it is also hard for even the most belligerent inspector to find a fault with objectively impressive progress measures. There is a deep concern in the teaching community that, whilst Ofsted may be impressively managed from senior positions, it only takes one poorly informed, cognitively limited, or pedagogically prejudiced inspector to come knocking at your school door for your world to cave in. And that is not hyperbole: for school leaders, schools, and whole communities, a poor Ofsted judgement can be utterly destructive. Unfortunately, the inspectorate will always be only as strong as its weakest inspector. And that is why the voice from the shadows is so frightening. From a political perspective, the Conservative idea to reinstate grammar schools is a truly great policy. In the popular imagination grammars represent a place of rigour, discipline, and academia, and the 11+ as a concept appeals to a pseudo-meritocratic impulse in Conservative voters. In theory it is fair: in practice it favours them and their families. When Labour politicians, leading union officials, and normal teachers rally in defence of the comprehensive ideal the Conservatives can wearily shake their heads, shrug their shoulders and say: we tried. They stopped us. Remember ‘the blob’ that Gove talked about? Here it is again. It is a policy that costs nothing to announce and makes those of us who devote our professional lives to improving the educational outcomes of young people look like the major barrier they face to success. Meanwhile, schools are starved of funding and no one talks about it. Teaching continues to struggle to recruit sufficiently good applicants in sufficiently high numbers, and no one talks about it. There is only so much air-time that can be dedicated to education. Only one story is likely to break through into the mainstream. A fist-fight over grammars is a lot juicier than another public service complaining it lacks sufficient funds to serve the public properly. Whilst talking about reintroducing grammars is an excellent move, actually reintroducing them across the country is a terrible idea. Not because individual grammar schools are intrinsically bad. Whilst some are bastions of privilege and unhappy hot-houses, others can be magical places. Like John McDonnell, like Jeremy Corbyn, like Dianne Abbott, like 27% of Labour MPs elected in 2010, I went to one. It changed my life. I found the high academic expectations the school had, that my teachers had, challenging and thrilling. My old grammar makes Michaela seem like a forest school. It was a stand-up-in-silence, sit-down-shut-up-and-get-your-books-out, 1950s-style institution. Emphasis on institution. I was the first person in my family to go to university and I went to Oxford. And that was normal for the school. I owe my grammar school very much indeed. To castigate it would be ungrateful, inaccurate and churlish. But what was the local comprehensive in the town like? You know the answer to that. And that is the problem. It is the non-attenders of grammar schools who will be impacted by this policy. Of course, it will affect the poorest children the most, even if Justine Greening violates the meritocratic purity of the 11+ in order to favour poorer families. But if we widen our scope out still further, we will see that three times more children will not attend grammars than attend them. As Angela Rayner has repeatedly pointed out, the re-introduction of grammar schools is also the re-introduction of secondary moderns. When it comes to re-designing our schools, we must ask if what we are building is fair and just. This brings me to John Rawls’ ‘veil of ignorance’, or ‘original position’. Rawls states that we should create systems and institutions we would happily be part of regardless of our role or position within them. With that in mind, would you support the nationwide re-introduction of grammars if you knew your child would go to the secondary modern? Or would you rather that there was an outstanding comprehensive school in your town instead? If you had the money to launch new grammars, would you? Or would you ensure that existing schools were properly financed? Of course, there are deficiencies and blind-spots in comprehensive schools and there is an unacceptable variability of school quality across the country that disproportionately affects poor people. Schools are running out of money and that is affecting provision in a profound way. The introduction of grammar schools does nothing to alleviate any of these problems. I had expected the Conservatives fascination with grammar schools to have abated by now. I recently read an article on the TES website titled “The press is full of bad news stories about teaching-we desperately need to focus on the positives as well”. At first glance this seem a fanciful idea as more requests for tracking come in, you haven’t replied to that parent email, you have a pile of marking building up and you haven’t planned tomorrow’s lessons yet. It also made me think of the fairly well trodden known that all teachers do is moan. Now I’m sure this is true of most professions but most professions don’t get the press coverage that teaching does. I am well aware of all of the negative stories around teaching in recent years: exam reform, pay cuts, pensions worsening, stress, class sizes…..there is a long list. But there are so many positives to teaching that maybe sometimes we forget and the press certainly doesn’t report. We have the opportunity every day to influence and inspire a whole group of young people. It may not seem it sometimes but many of these young people really do look up to their teachers. I was a guest at a Primary schools Council recently and 5 of the 15 students present when asked who their role models were replied their teachers. From the kids own words, because they never give up, they explain things to us, they make things interesting and they’re passionate. Every day teachers get to choose (within the restraints of the curriculum) how to deliver knowledge and enthuse kids about subjects that are close to our hearts. This is a privilege most don’t have. For us personally, we have the holidays. Twelve weeks off a year, treble the holidays of most. Yes we have to work in them sometimes and it is annoying flights are so expensive during them but still, most workers would happily swap for these. There is also our pay progression. Most professions do not all but guarantee a pay rise every year or every other year for the first ten years in a profession. Of course there are those schools that have used performance related pay to curtail wage rises but on the whole these are few. Despite this Government attempting to ruin our pensions (managing to damage them sadly), we still have a decent pension. Not “gold plated” as the media would like people to believe but we get a decent sum matched to what we put in, this isn’t the case for most. 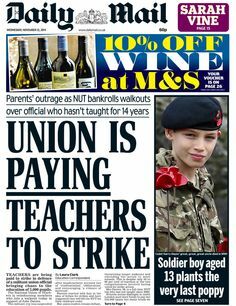 This is in part down to teaching unions being able to protect (at least in part) our rights and pensions, again, another right many jobs don’t have. So why all the negativity around teaching? To me it seems most of this is psychological and leads to what is called “Negativity bias”. This is just a clever way of saying humans remember the bad more than the good. In teaching (as well as all walks of life), I’m sure we can all relate to this. You have had a 5 lesson day where you are really enthused, all of the kids have been engaged and all your lessons have hit the spot. Then last lesson, little Timmy just doesn’t want to know, he’s not interested in learning and what’s more, he’s going to make sure no one else in the room is going to learn either. He’s ruined your lesson. Which of those are you going to go home and tell your partner about? The 80% of the day that was positive or the 20% of the day that was not so much? As humans we are prone to focus on the negatives and tell others about them also. This is why negative political campaigns are more memorable than positive ones. Tory election strategist Lynton Crosby called it the “dead Cat on the table”. The premise being that to counter a story he didn’t want in the news, bring out another story that will counter it, the more negative the better. The other reason for many of the negatives surrounding teaching include the admin, the paper work and bureaucracy. Much of this is down to another psychological phenomenon called “pluralistic ignorance”- a situation in which a majority of group members privately reject a norm, but incorrectly assume that most others accept it, and therefore go along with it. Sometimes there isn’t much any individual teacher can do, but if we all rejected it, what would happen? We all knew the Ebacc was a nonsense when introduced by Michael Gove, it’s included in stats so Governors have to care. Head teachers may have to push unsuitable students into those subjects to improve the stats, the kids don’t want to do these subjects and many times there are not sufficient teacher numbers to teach them. In short, we all know it is nonsense! But we all go along with it. Another facet to this is that the huge majority of teachers want to help, that’s why many went into teaching in the first place. Most teachers want to help and mostly want to be compliant, this good nature is often taken advantage of. Teachers don’t like saying no. But for teachers to enjoy their job this is exactly what I think they need to do, they need to say no more. Saying no lowers the demand on your time, it enables you to make better decisions and focus on what is important. It enables you to keep a work life balance. To students, no I am not running an Easter revision session, revise yourself. No I am not replying to every email that doesn’t need it. No I am not going to look at my emails at home or lunch time. No I am not partaking in every school event. I know this sounds much easier than it actually is and I appreciate that. But for teachers to not burn out, keep their passion for the job and stay in the profession, this is exactly what is needed. In the long run this benefits the Government, parents, students and teachers themselves. Tired, burned out teachers leave the profession, saying no may just stop that. Now, over the last eighteen months I have become used to the current leadership’s policies, or more commonly the lack of them, being criticised by people I respect in the Party. In fact, usually, I’m in agreement. But for universal free school meals, I find myself making an exception. This is a policy which is costed, thoughtful and will make a real difference to the lives of thousands of children. Firstly, let’s deal with the main criticism – that education funding is in crisis. School leaders and governors across the country are being forced to make impossible decisions every day. And I wouldn’t dispute that. I couldn’t dispute that. But these are two different arguments. Of course we should be challenging the government to increase school budgets. But we shouldn’t be using money raised from private schools just to plug gaps in state school funding. These monies should only be spent on improving state school standards, not just maintaining current provision. Otherwise, state schools will continue to be the poor relation to their private counterparts. Then there is the argument that this is money that will be spent on the well off. Well, that’s just not the case. Many of the children currently living in poverty do not currently qualify for FSM. This allows the state to support these children whilst removing the stigma of FSM. More than that, it puts us clearly on the side of the ‘strivers’. Universal free school meals starts the long process of moving us towards being a Party that is seen to be on the side of the ‘squeezed middle’. Millions of parents would be better off. These are the very people that we failed to convince to vote for us in 2015. There has also been the suggestion that the 20% increase in school fees would prevent parents from sending their children to private schools. We’re not seriously complaining about this are we? More parents having a stake in comprehensive education can only be a good thing. It would bring out the chattering classes and Daily Mail readers; forcing the issue of underfunding of state education into the political mainstream. Making comprehensive standards matter for more children can only mean that comprehensive standards will improve for more children. Linked to this is the concern that a reduction in children going to private schools would reduce the tax receipts which would threaten the viability of universal free school meals. We’re not going to be scared by that are we? We’re the Party that fought for a minimum wage during a cacophony of claims that it would threaten a million jobs. And we shouldn’t forget the impact that a clear, understandable and measureable policy can have on our reputation. Our Party has a habit, certainly under Ed Miliband, of using the same money more than once. This was one of the reasons that we never recovered our economic credibility in the last Parliament. The universal free school meals policy has clear funding and would make children’s lives better – this is a win. Then you have the criticism that universal free school meals aren’t bold enough. That it’s too modest to make a difference. To this, I can’t agree. We only have to look at the brilliant impact that family lunches have had at Dixons Trinity Academy and Michaela Free School have had on standards there. According to Luke Sparkes, principal at Dixons Trinity, family lunch offers an opportunity for students to “sit around a dining table with an adult … eat[ing] from the best plates and dishes and drink[ing] from real glasses [where] conversation and manners is modelled by the adult [as] this is a time of day when our children can learn so much”. Universal free school meals would provide a great opportunity for schools to improve behaviour, manners, and much more whilst also serving nutritional, hot meals for all. It’s hard not to get too excited after the dearth of initiatives of the past eighteen months but it’s clear that universal free school meals is a really solid policy. At our heart, we are a Party that stands up for the many, not the few and we should always stand up for the principle of universalism. We cannot allow our public services to become poor services for poor people. Universal free school meals are not the solution to all the problems facing the state education sector but it’s a start. Tom Clements is a History and Politics teacher in Yorkshire. The House of Lords recently considered what has become a real and entrenched sociological issue in England’s schools: the fact that girls consistently out-perform boys in educational achievement. Boys are nearly twice as likely as girls to fall behind, and despite a dramatic improvement in overall results over the past decade or so, the gender gap has hardly changed for five-year-olds. Research by Save the Children shows that since 2006, there has been a 20% improvement in overall attainment in state schools, and an 8% reduction in the poverty gap. Yet there has been a reduction of just 1% in the gender gap, in terms of educational attainment. In 2015, boys accounted for 51% of children who started primary school but 66% of those who were behind in their early language and communication. The pattern is similar at Key Stage 2 (age 11) and with GCSE results, and also found across all ethnic groupings. There is no obvious reason for this disparity. But research from University of Bristol has shown how big an impact the gender gap in the Early Years Foundation Stage (up to age 5) has on boys’ primary school attainment. Two-thirds of the gap in reading at Key Stage 2 can be attributed to the fact that boys begin school with poorer language and attention skills than girls. Evidence meanwhile, from a wide range of other studies points clearly to high-quality early childhood education and care provision being the most powerful protection against the risk of falling behind. This is especially the case with children from disadvantaged backgrounds. Ministers says they want to improve social mobility. I don’t doubt their good intentions in terms of apprenticeships but they are misguided about expanding grammar schools, for which there is no evidence to demonstrate these have a positive impact on such mobility. Instead, the government should relentlessly target resources at early years’ provision. Since 2010, over 400 of the Sure Start centres across England established by the last Labour government have closed. In July 2015, the then childcare minister announced the launch of an open consultation on Children’s Centres for that autumn – something that never happened. Ministers must grasp the need for investment in the best early education and childcare provision, particularly in the most deprived areas, led by graduates and supported by skilled staff at all levels. A well-qualified early years’ workforce is vital if young children are to have the support they need to thrive. There is also a need to increase the number of teachers and those with equivalent graduate qualifications. The difference in the quality of provision at nurseries between the most and least deprived areas is almost completely wiped out if a graduate is present. We cannot wait for disadvantaged children – girls and boys alike – to get to school before they receive the support they need. By that time many will have already fallen behind, with negative consequences for their childhoods, life chances and success. Much better to consider the positive benefits of improving boys’ language and communication skills early on in life – whether in terms of personal relations or how they might better interact with the world around them. As well of course, how it might help deal with the adult counter-point to this particular concern: the fact that despite the early attainment gap between boys and girls, it is the latter that continue to lose out once they enter the workplace.